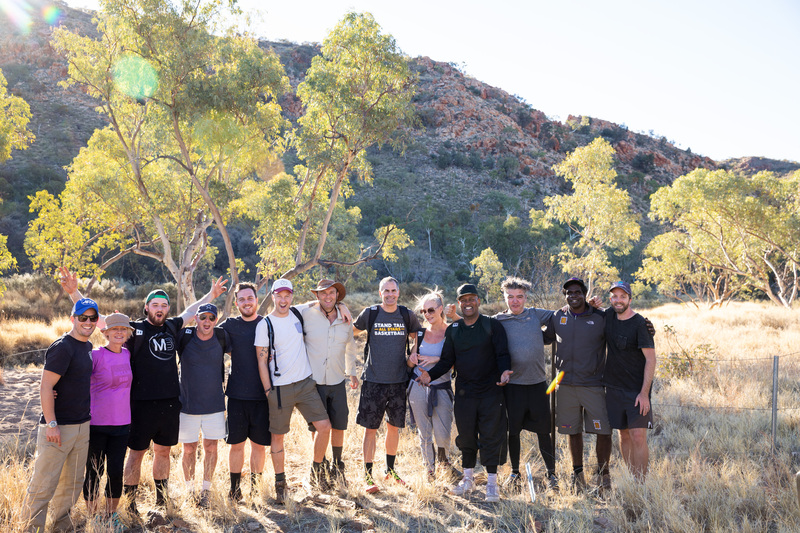 After a week of community programs in Central Australia, we launched our Inaugural Larapinta Trek with a group of amazing people committed to raising funds to support the Charity Bounce programs in Aboriginal communities. The trek took place with NBL Legend Cal Bruton, Celebrity Chef Sean Connolly, and former Harlem Globetrotter Tracy Williams with 2 x Olympian Jenni Screen and Illawarra Hawks Captain Kevin White joining the fundraising efforts after delivering programs during the week in Central Australia. This unique three day trek was a way to raise funds to support Charity Bounce while enjoying a fun, immersive, educational and cultural experience by the only locally owned and operated Aboriginal tour company providing a deep and rich experience of Central Australia and Indigenous culture. Interested in coming on our next trek? If so, keep your eyes peeled and sign up to our newsletter as we share some of the great moments from the trip over the next few weeks and let you know how to register your interest in joining us next time. Here are a few of the photos (thanks to photographer Jem Cresswell) from the trip with more to come…. Our Larapinta Culture Trek guide and all round great person Jordie. A big thanks for sharing the knowledge and experience with us. Check out the video below to see the programs delivered in Central Australia by Charity Bounce in partnership with the ABA in Central Australia last year as Kevin White from the Illawarra Hawks was joined by Townsville Fire player Darcee Garbin and NBL Hall of Famer Cal Bruton to inspire positive change in Aboriginal communities. The players delivered Stand Tall programs within the Nyewente and Ltyentye Apurte Aboriginal communities in and around Alice Springs and the Mutijulu community in Uluru.